How do you select the strategies that you will use to help your students achieve the standards? One technique is best on a quality matrix. You list several possible strategies that could be used to teach a particular key component of a standard. You then guesstimate what percentage of your students will be successful in learning the key component if you use each strategy. You look at your scores and select the strategy that has the highest possible score. You pre-test the students, teach them using that strategy, and then post-test. Next, you check your guesstimate against the reality of the post-test. You can use a spreadsheet to do the analysis. Then you can make a decision if that strategy was as effective as you had hoped. If it was not effective, you can think of modifying that strategy or using another strategy. If your colleagues teach the same key component, you can compare strategies and their effectiveness in helping students to be successful learners in a standards environment. If two of you used the same strategy and had drastically different results, you can discuss of how the strategy was implemented in each class. 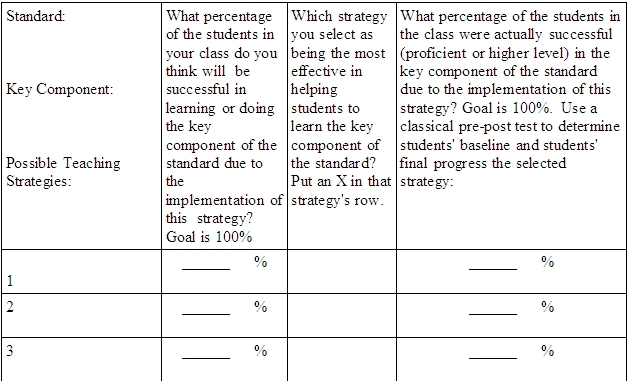 Try out this quality matrix to help you determine which of your teaching strategies are effective in helping students achieve the standards. The big advantage is that you can see the educational pay-off in weeks or a month. In one school, a powerful lesson plan resulted in 85/88 students being able to write effective ”descriptive setttings” up from 4/85 a month earlier. In another school, teacher saw gains in math in monthly meetings and at the end of the year saw sizeable gains on the state assessment. In a third school, a first grade team celebrated their successes at their once a month 25 minute meeting. They showed charts of their students’ success in writing. Schmoker, M. R. (2005). Results Now: How We Can Achieve Unprecedented Improvements In Teaching and Learning. Alexandria, VA: Association for Supervision and Curriculum Development. Does having short-wins appeal to you? Do you want to see monthly results instead of waiting for finals or state-tests results? 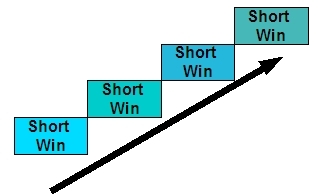 Are you already implementing short wins? Teacher Expectations and Student Achievement emphasizes that teachers are often unaware of how they interact with students, particularly low income and minorities. Strand B (Feedback) includes these categories. You can have a team of teachers observe you on the presence of these or you can audio/video tape yourself and then do an analysis. Affirm/Correct– Do you tell all students equally if they are correct when they answer a question or make a comment? Praise – Do you praise all students equally if they are correct when they answer a question or make a comment? Reason for Praise – Do you tell all students equally the standards-based reason that they are correct when they answer a question or make a comment? Listening – Do you listen attentively to all students equally as they talk to you? Accepting Feelings – Do you acknowledge the feelings equally to all students? So how do you apply these in your classroom? How do you use technology to help you? How do you use technology to monitor you increase in these? TESA has been around since 1973. Many school have it as a key professional development tool since it is classroom based. Its research base states that teachers expect less of certain students (low income and minority), treat them differently in class and therefore those students achieve less. In TESA other teachers observe you for certain teaching traits that center around equity. Latency – Do you wait five seconds after asking each question and before calling on any student? Do you use wait time for all students equally? Equitable Distribution – Do you call on all students equally? Individual Help – Do you provide help to all students equally? Paraphrasing/Prompting – Do you paraphrase and prompt the question to help student get the correct answer equally? 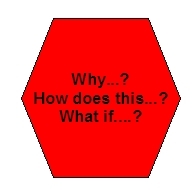 Higher Level Questions- Do you ask higher level questions equally to all students? You could create a spreadsheet of the number of times you positively do each of the above in your class and then try to increase the number each week. If you increased by 20% each week, you would soon have high scores in each area. Graph your results and be proud of your students’ increased learning because of your new high expectations for every student. If you have had experience with TESA, please share them. Students’ eportfolios can become formative if your students work on the eportfolios throughout the semester or year. If students just put the eportfolio together the last week of class, then the eportfolio cannot serve as formative assessment. During the first Eportfolio Review Day which may be at the end of five weeks or ten weeks of school, students select which assignment (evidence, artifact) they will use in their eportfolio. As they share their choice with you, you can assess how well they understand the standard and how well their select assignments demonstrate the standard. 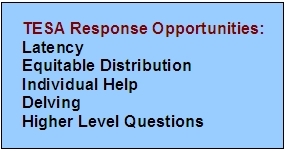 You can offer assistance if they demonstrate a need. During the subsequent Eportfolio Review Days, the students compare the most recent assignments that they have done to the ones they have already selected for the eportfolio. They self-assess their own work in terms of the standard. They begin to think of how they can do better future work to be more completely or more in depth demonstrations of their progress in the standard. As they share their decisions with you, you can assess how their understanding of the standard has increased and how much more discriminating they are in selecting good evidence for their eportfolio. As students develop their reflection on the standard using the what “I learned previously, what I learned in the course, and what I still want to learn” about the standard model, they share it with you. You can help them develop in-depth reflections that truly illustrates their higher-level thinking about the standard. So how else do you use eportfolios as formative assessment? Black’s Formative Assessment Research: How much do you know about your students? – Students have to be actively involved in their learning and their own assessment. 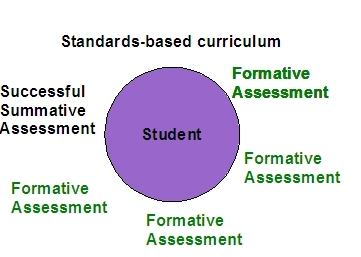 – The results of formative assessment will be used to adjust teaching and learning. Do you? How do you use technology to guide you in collecting and analyzing formative assessment? Most podcasts do not invite the listener to think about the topic. The listener is passive. The podcast seems more like a lecture than a dialogue. The students can start off the podcast with an essential question about the topic or a critical problem such as “What impact is global warming having on you?”and then pause for about five seconds for the listener to think about the topic. You will have to model this format for the students and have them practice it. A good starting point is for them to identify what questions they have the topic and its impact on their lives. Let’s change podcasts from boring mini-lectures to engaging thought provoking learning.This way not only do the students producing it learn the content to a high level of thinking but the listener also does. Share some examples of how your students cause others to think and question.